In the event of inclement weather, St. Joseph’s will make every attempt to open as usual. However, to preserve the safety of our staff and children we will close if conditions warrant such action. The general policy is that the center will follow Falls Church City Public Schools for delayed openings, early departures, and closings due to inclement weather. 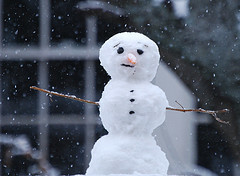 Delays or closings will be announced on the radio and online at http://www.fccps.k12.va.us/. If FCCPS has a one-hour delay, we will open at 8:00 am. If FCCPS has a two-hour delay, we will open at 9:00 am. If FCCPS has a one-hour early closing, we will close at 3:00 pm. If FCCPS has a two-hour early closing, we will also close at 3:00 pm. The Director reserves the right to close earlier or open later due to natural disasters (i.e. Snow, ice …). Please call the school at 703-533-8441 for updates.